Eumatech Corporation has been supplying superior CNC-vertical machining centers in Taiwan for 15 years. As a professional and leading CNC machining center manufacturer, Eumatech is dedicated to ensure your satisfaction from price, delivery and service through our worldwide sales net. 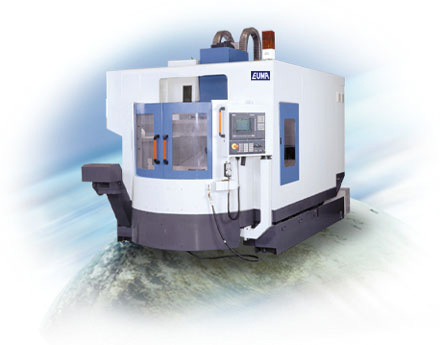 Model ME series: getting rid of traditional design concepts, the EUMA ME series vertical machining centers are oriented to develop advanced machining equipment, not only for today’s demands for parts processing, but also for tomorrow’s. It can provide the best stability and the lowest vibration environment for machining huge and heavy parts. The ME series meets the highest industry standards.